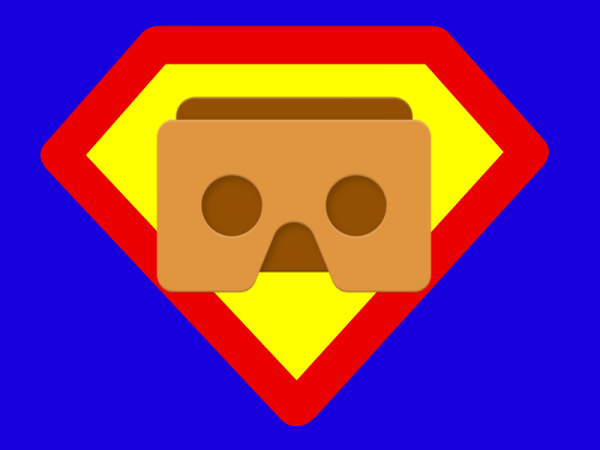 Supercharge your Google Cardboard with Google VR Services! Google Cardboard gets a bad reputation among VR enthusiasts for its inferior viewing experience compared to Samsung Gear VR and Google Daydream, much less any desktop VR. But what if your Google Cardboard viewing experience can be upgraded to look as good as that of the Gear VR … for free? Although Google Cardboard provides a gyro-tracked 360 view, it doesn’t feel immersive. There are many issues why, such as ghosting, which happens when you look around and the image appears to have motion blur rather than looking sharp. Motion to photon latency is another big difference (the lag from the time you move until the time the display is updated). Because of these and other issues, your brain is not fooled by Google Cardboard, and is fully aware that you are wearing nothing more than a headset. By contrast, with Samsung Gear VR and Google Daydream, software and hardware tricks remove these imperfections, so that your brain is deceived into believing that what it’s looking at exists “out there,” independently from the headset. Fortunately, as phone processors become more powerful, phones become capable of providing good quality tracking without additional sensors, which is why Google Daydream has no IMU (inertial measurement unit) in the headset. So, yes, Google Cardboard can become as immersive as Gear VR or Daydream. Because Google VR Services utilizes newer processors, not all phones will be compatible with it. But if you can install it and enable it on your phone, you’ll find that Google Cardboard will be much better and in some phones, such as the Samsung S8+, it will be as good as Gear VR and Daydream.